Most veteran Rise of Nations players are aware that Patriots / Generals are an essential addition to an army at virtually every stage of the game. 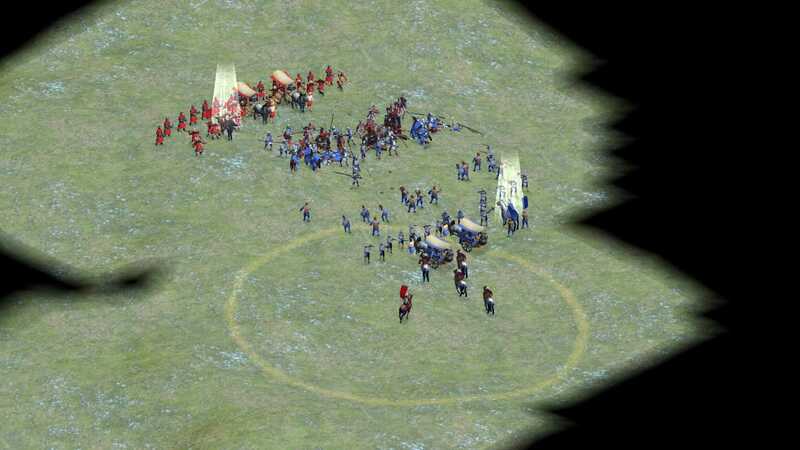 Among less experienced players, it can be common to see these units conspicuously absent within an army, greatly reducing the army’s overall strength. However, even when included in an army, their full potential is often left untapped, and strong tactical maneuvers (..and exceedingly entertaining cheese strategies) are not utilised. Let’s run through the fundamentals and then move onto some more advanced uses for these powerful units. Firstly, let’s distinguish the difference between a Patriot and a General, and what each of them actually does. 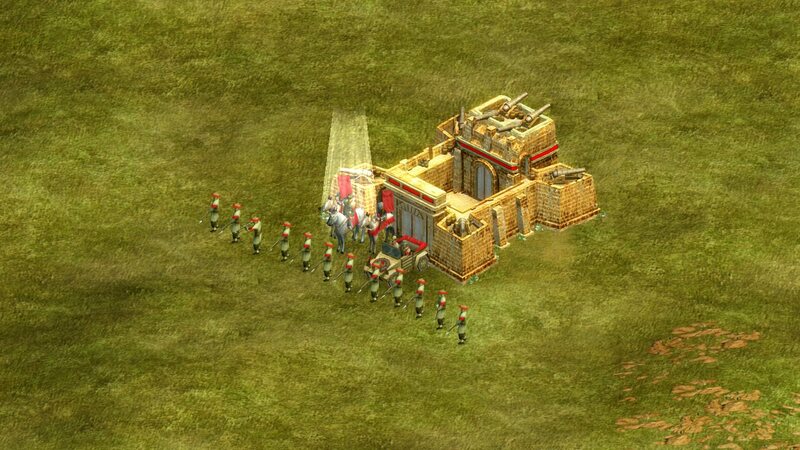 Generals are support units that can only be built from Forts. With Age upgrades the appearance of Generals will change, but these changes are cosmetic only and have no gameplay impact. 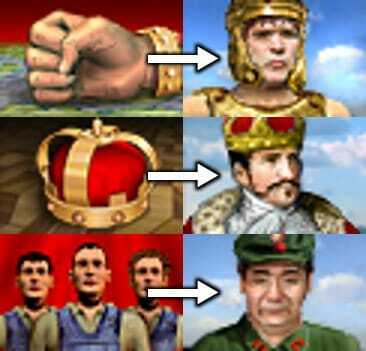 Clockwise from top: a Chinese early-age General, a Roman late-age General, and a Mayan early-age General. 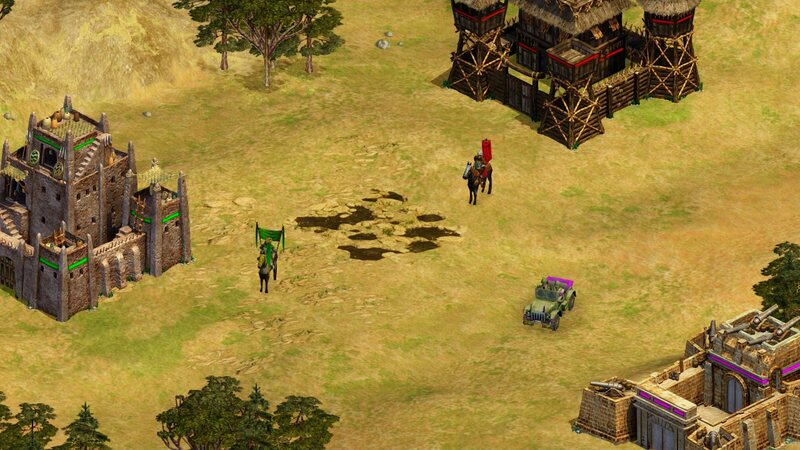 Note: Patriots are not available in the base Rise of Nations game. You need the Thrones and Patriots expansion (included already in the Gold and Extended Editions) in order to use them. Patriots are a special type of unit that is automatically created at the Senate after your first government is researched there. Each player can only ever have one Patriot at a time – researching a new government will upgrade/replace the old Patriot (much like Slingers become Javelineers). If the Patriot is killed, he respawns at the Senate after a 30 second delay. If you don’t have a Senate, he’ll instead respawn at your current capital city, or one of your other cities if your capital has been captured. Patriots are basically just Generals with additional bonuses. Most of these bonus effects are dependent on what your active government is, although notably all Patriots regardless of their type are immune to being bribed or sniped, unlike regular Generals. They can do everything that a General can, so whenever you see me refer to a “General” having an ability, remember that a Patriot has that too. Be sure to not confuse a Patriot’s effect with a government’s effect. Although each government comes with a specific Patriot, the effects of each are separate. Government effects also persist even after researching a new government, whereas Patriot effects do not. If you change governments and get a new Patriot, you will lose any specific benefits that the previous Patriot provided (but maintain benefits from the previous government). 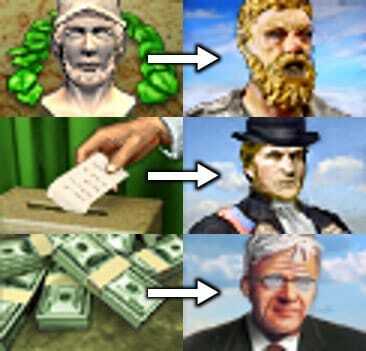 Top row to bottom row: an example of Patriots from the first-tier governments, the second-tier governments, and the third-tier governments from three different nations. In a normal game a player wouldn’t be able to have more than one Patriot. This armor aura can be increased via the Strategy line of research at the Fort, with each level of research increasing the amount of armor by an additional 2, up to a maximum total of +8 armor. The aura affects all types of units within its range — including the General itself — but does not apply to structures. This aura does not stack with itself, although having multiple Generals can improve the aura’s coverage if you have a fairly large army, while providing redundancy in case a General is killed. It is sometimes incorrectly said that this aura only benefits ground units, but it also applies to naval and air units — it’s just difficult to keep those types of units within the aura’s range given that Generals are ground units themselves. A Jet Fighter casually having its armor buffed by a nearby General. In addition to their valuable armor-buffing aura, Generals have four special abilities which utilise the craft resource (similarly to Spies and Scouts). All of a General’s abilities use 1000 craft to activate, which is also the maximum amount of craft that can be stored. Forced March temporarily increases the speed of your nearby ground units while they’re in range of the General. The speed bonus applies more strongly to foot units, and less strongly to other types of units (mounted / vehicles). The General itself does not benefit from Forced March, even if its being applied by another General (but Generals have an extremely high base movement speed, so that’s not usually an issue). 10 second duration, plus 5 seconds for each level of research in the Strategy line. A General Force Marching some Elite Pikemen. Entrenchment causes the General to remain stationary while he channels for a few seconds. When the channel completes, nearby stationary foot units which have been out of combat for 5 seconds become entrenched in their current orientation. Entrenched units “take only 66% damage from splash weapons and frontal attacks (non-splash damage from the flanks is unaffected) as long as they remain in their current entrenched location.” Units must be in friendly territory (either yours or an ally’s) to be entrenched.2 Entrenchment lasts indefinitely until cancelled by movement or death. Some entrenched Manchu Riflemen. The bottom left Rifleman is facing down – notice how his entrenchment corresponds with unit orientation. Before the Industrial Age, entrenchments are made of sticks instead of sandbags – this difference is cosmetic only. Create Decoys causes the General to remain stationary while he channels for a few seconds. When the channel completes, your nearby direct-combat military units will have a decoy-copy created next to the General. Decoys appear to enemy players as real units unless manually selected, but deal no damage when attacking and are destroyed immediately upon taking damage from an enemy unit. Detectors such as Scouts and Lookouts will “reveal” decoys, making them take on an obvious “ghostly” appearance and causing them to take rapid attrition-like damage while detected. Units do not have to remain within the channel’s area for the full duration so long as they are present when the channel completes. Civilians and non-direct combat units (Supply Wagons, Generals, other decoys etc) will not generate decoy versions of themselves. Decoys have very poor LoS. Decoys last for 2 minutes and 45 seconds, plus 1 minute and 20 seconds for each level of research in the Strategy line. Enemy view (top) vs own view (bottom). Notice how enemies can still manually select decoys to discover them, since they will have a blue secondary resource bar even on units that aren’t supposed to normally. Be careful when using this ability: there needs to be space immediately around the General for the decoys to spawn – if there isn’t enough room around him when you use the ability, you’ll be left with few or even no decoys. There also seems to be a limit on the number of decoys that can be created, but I’m unable to find any confirmation about this online, I can’t find the number in the game files, and my own tests were inconclusive. My best guess is either there’s no fixed limit (limited by space only), or that the maximum number of decoys created from one use of the ability is 10, plus 5 for each additional level of Strategy research. I’m not sure which is correct, and I don’t often use decoys so I don’t have enough experience to comment with authority. I’ve seen rumors that there are a maximum number of decoys allowed, but have not been able to confirm the validity of that. 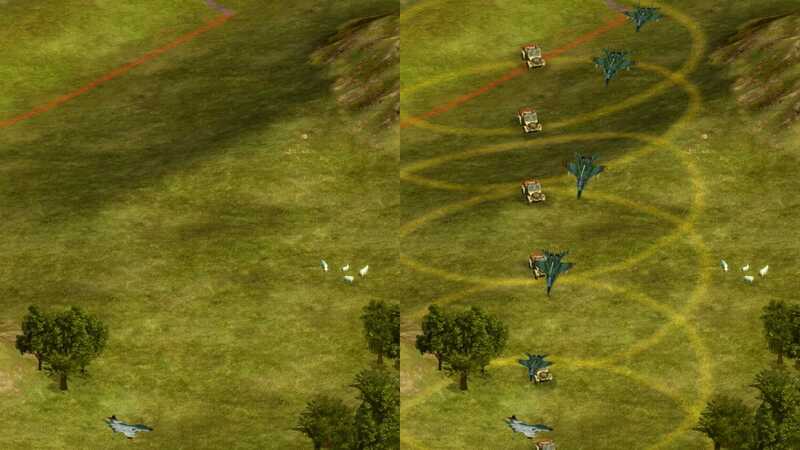 Ambush temporarily causes the General and nearby units which you control to go invisible while in range of the General. This invisibility works on all types of ground, naval, and air units (! ).3 In order to be affected, units must not have been in combat recently – you can’t simply activate Ambush to get out of a losing fight.4 30 second duration, plus 15 seconds for each level of research in the Strategy line. Enemy view (left) vs own view (right). Knowing that Ambush works on planes opens the door to a handful of intensely amusing cheese strategies. As mentioned, these four special abilities are affected by the Strategy line of research at Forts. For effects with limited durations, duration will increase with each research level. Each research level also increases the health, speed, line of sight, and ability range of Generals (and Patriots). Four generals activating one of their special abilities each. Top to bottom: no completed Strategy research, one completed Strategy research, two completed Strategy research. The third level of research would increase the radius even further. The most fundamental thing is to always include a Patriot in any meaningfully large military force. If you’re just sending a couple troops to kill a merchant or harass some citizens then you might be fine without, but other than that you should basically always have a Patriot / general supporting an army so that you gain the armor aura plus whatever passive benefits your specific Patriot provides. Early on building both a Fort and a General is an expensive endeavor, so for economic reasons it typically makes sense to just have a Patriot, not Generals as well. Once your resource production is flowing smoothly you can be more liberal with your production of support units such as Generals. These are the Patriots you receive from the “red” governments – Despotism, Monarchy, and Socialism. The respective Patriot for each red government is The Despot, The Monarch, and The Comrade. All three of these Patriots provides supply to nearby troops just like a Supply Wagon. This has two major implications. First, the Senate can be built and governments can be researched while in the Classical Age (II), which is an entire age before you can normally build Supply Wagons (Medieval Age (III)). This means that if you’re going for an early assault, The Despot is all but mandatory. Without supply your army risks slowly bleeding out to attrition damage, and The Despot is an easy and efficient solution to that problem during the first 2-3 ages. The other notable point is that Patriots (and Generals) are way harder to kill than Supply Wagons. A small group of light / heavy cavalry could easily kill a supply wagon with just a couple swings each. Supply Wagons are weak and move slowly. Patriots (and Generals) are actually quite tough units, and they’re among the fastest in the game as well. Although Generals run the slight risk of being sniped (by an enemy Commando or later Scout unit), or Bribed (by an enemy Spy), all Patriots are immune to both of those abilities. Essentially red Patriots not only give you earlier access to supply for your invasion force, they make it easier to keep them supplied by virtue of being much more resilient than Supply Wagons. The Despot has doubled Line of Sight, making it much easier to locate enemy targets and notice a stray Barracks before it can do any damage. He also doubles the plunder for destroying enemy buildings in his radius, and – more importantly – gives plunder for killing enemy units in his radius. These plunder bonuses go a long way towards offsetting the economic cost of early attacks, and are an excellent way to reward early aggression. Top: The Senator’s LoS. Bottom: The Despot’s LoS. The Despot’s area was so large that the game’s UI was actually getting in the way of the screenshot with the original framing. The Monarch causes artillery (siege) units in his radius to move and deploy at double their regular speed. Additionally, mounted/vehicle units in his radius have a bonus +2 attack and +2 armor (on top of a Patriot / General’s normal armor bonus). These bonuses are great for going on the offensive with a full army that will overwhelm your opponent. Your heavy cav can get right in the thick of things with extra combat power so that you win the fight, all the while your siege units were already in position to dismantle the enemy city from afar. Siege units are generally the slowest and “clunkiest” units in an invading force, so they typically bottleneck the speed with which you can move from one location to the next with their slow movement speed and long deploy / undeploy times. The Monarch solves that bottleneck, giving your opponent less time to respond and regroup while you blitz through their cities. The mounted / vehicle bonus also synergises with Monarchy’s own effect of making Stable / Autoplant units 25% cheaper. Your cav can be both cheaper and more effective than normal. The Comrade basically doubles down on both of The Monarch’s bonuses. All of your units in his radius receive a +2 attack and +2 armor bonus, not just mounted / vehicle units. Late game siege units become faster and less clunky, with greater range and progressively faster deploy / undeploy times. Instead of addressing a bottleneck that arguably no longer exists by buffing siege units, The Comrade makes cities in his radius assimilate at 4 times speed, an absolutely brutal increase if you’re on the wrong end of it. Instead of having just over 2 minutes to retake a city, you have roughly 30 seconds. Ouch. The Comrade excels at winning fights and then taking and holding the cities that you inevitably capture from those fights. These are the Patriots you receive from the “green” governments – Republic, Democracy, and Capitalism. The Patriots for each are The Senator, The President, and The CEO respectively. The “green” governments and their respective Patriots. The shared bonus for all of the green Patriots is healing your units and buildings in the Patriot’s radius. The Senator applies this healing while in friendly territory, The President applies this healing while in friendly or neutral territory, and The CEO applies this healing in enemy territory as well – so long as your units are not actively taking attrition damage. This bonus doesn’t have the same “game changer” effect that the built-in supply of red Patriots has, but is valuable nonetheless. The healing is particularly potent when on the back foot, as it allows somewhat guerrilla tactics against an invading force as you kite back and forth while your troops slowly heal up. I’d like to put a particular emphasis on the slowly part of that sentence though: the healing effect is like reverse-attrition in terms of how quickly your units will heal up. It will allow your troops to heal up after a fight is over, but it’s not going to allow them to facetank an enemy force unless they were going to be able do it anyway. The effect is (roughly?) equivalent to the healing from a French Supply Wagon, or any Supply Wagon if you build the Versailles. The Senator‘s unique bonuses focus on defending against early aggression, particularly with regards to an enemy trying to rush your city (probably your capital if it’s a rush!). It’s a nice counterpoint to The Despot, who is going to be on the other side of the fight, enabling that early aggression. Buildings in The Senator’s radius gain +5 armor, which generally makes an enemy force take twice as long to reduce a city early in the game when combined with the healing effect he provides. That in itself is extremely helpful – giving you twice as much time to react if you get rushed is the difference between frantically doing everything possible to not lose, and being able to comfortably push back with time to spare. 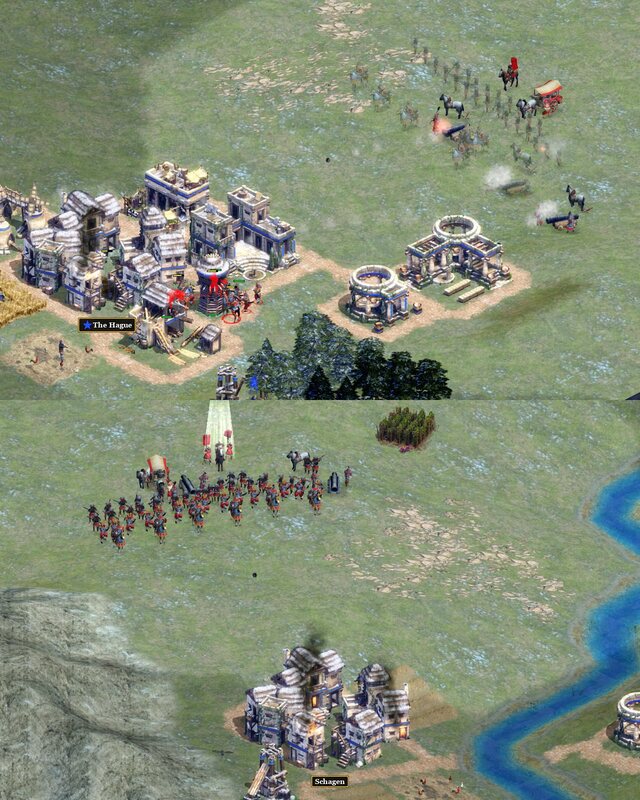 You should have plenty of time to cobble together a few archers to deal with the heavy infantry wailing on your city. He can also bribe enemy units as if he were a Spy, another incredibly useful tool to have against early attacks. Not only do you essentially “kill” an enemy unit, but you gain one as well. When less than 10 units are in play, bribing any of them is a massive blow to the power of an invading force. Particularly in the aforementioned city attacks, this can cause an enemy attack to completely crumble – they either keep hitting the city and have to deal with twice as much damage as before (the city itself + the unit you just bribed), or they have to expend extra time killing off their own guy. Either way, it’s a big win for you! The President, just as with every Patriot, loses the unique bonuses of The Senator. I point this out because losing the +5 armor bonus in the middle of a city defense can potentially be an expensive mistake to make. Just be mindful of the switch when you change governments. In any case, The President causes buildings in his radius to be constructed 33% faster, and unit-producing buildings in that radius produce as double speed. This is amazing for rapidly mass-producing an army, especially if you’re leveraging an economic lead over your opponent. There are other ways you can increase unit production speed, but using The President is one of the strongest. Plus, you can obviously stack multiple production-speed-increasing tactics together to really cut down production times. The most practical use case for these bonuses is if you’re about to be (or are actively under) attack. Double production speed allows you to easily bolster your defense force before your city is reduced. Another straightforward use is when building Wonders, since the increased building construction speed will apply to those as well. 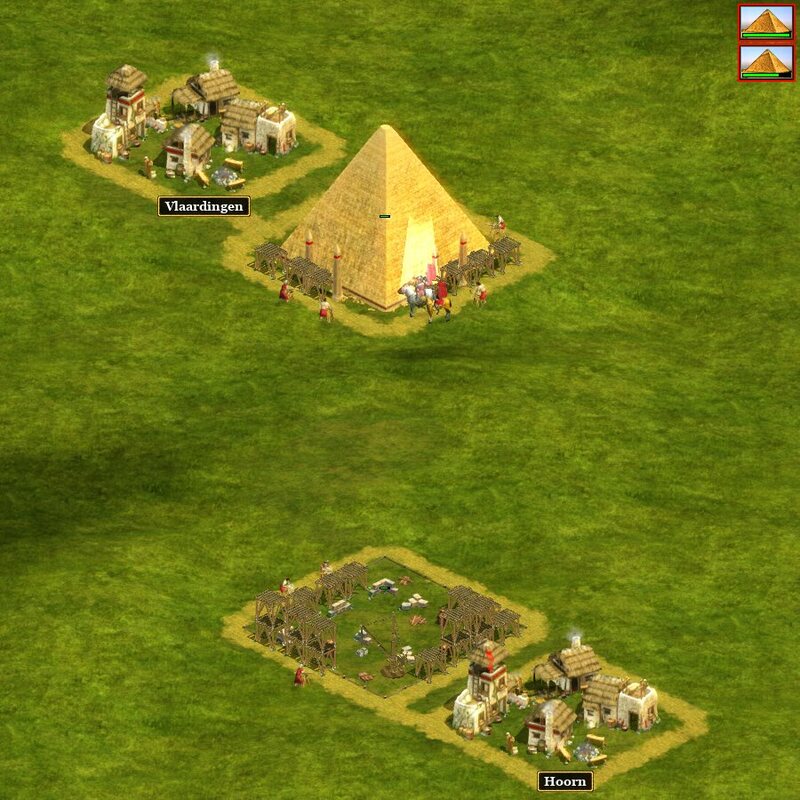 Beating myself at building the Pyramids by having The President speeding up the top construction site. The CEO has a couple of rather unique bonuses. As mentioned previously in this article, all Patriots are immune to Sniping and Bribery. The CEO takes that benefit and extends it to all of your units in his radius. Sometimes this won’t mean much (a lot of players don’t regularly use either of these abilities), but other times it can really shut down an enemy’s play if they’re relying on one of those two abilities to deal with you. For example, they might be relying on bribing one or two of your siege units in order to slow down your assault on their city, but The CEO would deny that play regardless of whether you can even reveal the enemy Spies or not. The second bonus he provides is an extra +2 attack range and +2 Line of Sight for your nearby units (except for siege units). This bonus is excellent for keeping an army in formation while allowing more of your units to attack; usually if you stay in standard formation, your anti-tank infantry will struggle to participate in the fight, as the tanks they want to hit have a ~50% range advantage (8 tile vs 12 tile attack range in the Industrial Age (VI), for example). Halving that difference makes it much more likely that you can get them firing off without needing to put them in front of your own tank line, which would open them up to significant enemy fire. The range bonus is also quite helpful when cities are involved, particularly if defending. If your opponent is unwilling to get within the attack range of your city while they’re sieging it, you can shuffle your troops forward slightly so that your +2 range allows you to take potshots at the attacking troops while covered by your city’s attacks if they try to push forward to hit you back. Some end-game troops such as Assault Infantry and Main Battle Tanks can’t quite fire at a city from outside of its attack range without taking return fire, but can do so if given the extra +2 range from The CEO. Realistically this would be more to make your opponent feel extra pressure rather than to achieve much though, as their attacks would only barely scratch a Major City with a Temple attached. If you’re able to use this tactic against a smaller city it can be a bit more practical though, and could shave a bit of time off of the time it takes to capture the city. Alternatively, since tanks are pretty durable, you can move your army to be within the edge of the city’s range, which will allow even more of your units to fire upon the city, while only leaving your difficult-to-kill tanks as targets in the city’s attack range. If a tank gets low, simply move it outside of the city’s range and The CEO will slowly heal it up again. There are some fairly easy-to-use situations for a General’s special abilities, but also some more complex or more situational ones. Let’s run through some examples for each of the four abilities. When your army is running in to attack the opposing force, use Forced March to more quickly close the gap, especially for your melee units. If you have some time to prepare and have more than one Patriot / General on the field, you can also use Create Decoys before the fight and mix the decoys into your main force as you attack. Your opponent will quickly notice that there are decoys once they start blinking out of existence after taking damage, but at least they’ll soak up a bit of extra damage at basically no cost to you. You can also use Forced March simply to reinforce a fight or retreat from a losing one – it’s a pretty versatile ability. Additional complexity: Have a small group of troops (light cav often works well for this) off to the side of where the fight will be, outside of your enemy’s vision. As the fight is breaking out and his front line troops are busy, Force March and/or Ambush your flank-squad right into the enemy Supply Wagons / Patriot / Generals. If you can take out these units, you can cripple the opposing force in combat by removing their supply and armor bonuses. 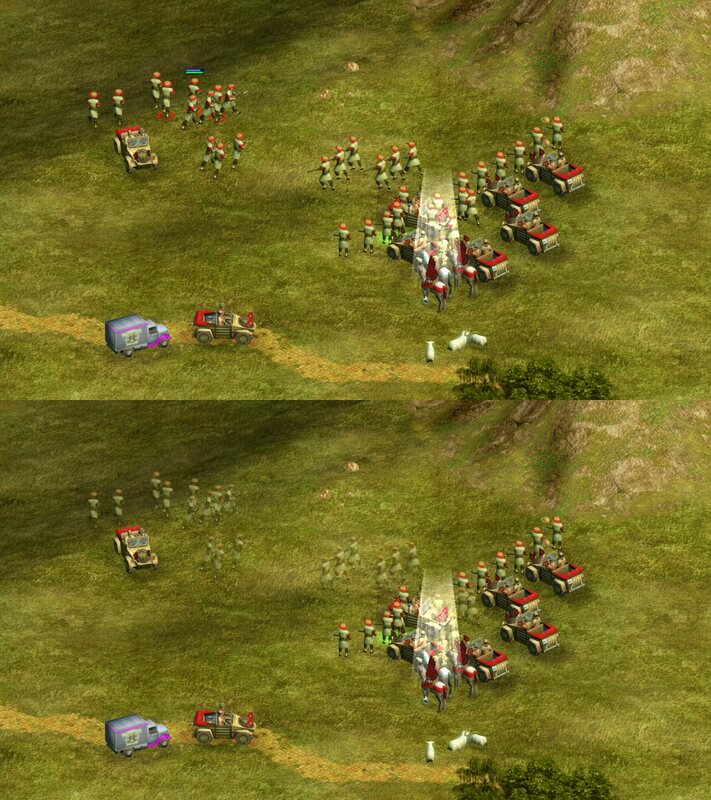 If your units survive their mission, either retreat back to safety or make use of their current position to pincer the enemy force slightly while benefiting from having cavalry in spitting distance of their archers. You could also instead try to focus down siege units if you’re just trying to buy time for a city. Some light cav flanking onto the enemy Supply Wagons with the help of Forced March. When defending a city with a force that will not win a direct confrontation, entrench next to / behind the city. So long as your force isn’t completely outmatched, you can prevent the city from being captured even if it gets reduced, and your entrenchment will bolster the strength of your troops. 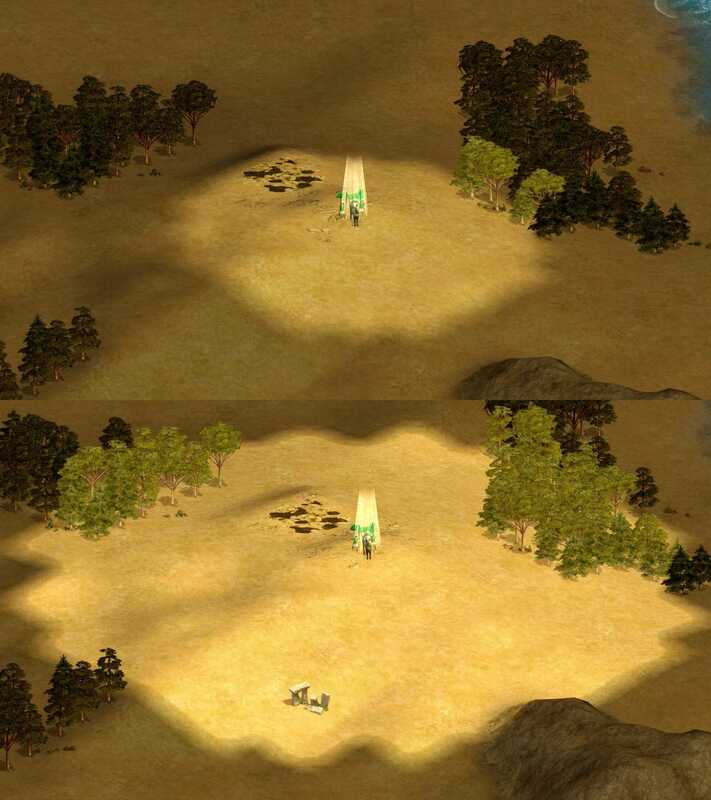 This tactic is more effective if you have other defenses around the city to fire upon enemy troops if they try to attack your entrenched forces. Many players like to build a Fort (or perhaps a Tower or two) next to a city if it’s near the frontline (and therefore at risk of being sieged). Placing it on the “defensive side” of the city (the one on the opposite side of the enemy) makes it difficult to destroy the structures without first capturing the city. Additional complexity: As noted by AU_sims on mastersleague.net (..which seemingly hosts a web-based cryptominer on its webpage, so I won’t link it), American players can use their unique auto-entrenching infantry aggressively while sieging an enemy city. Standard siege units will do the actual city-reducing, while your forces (consisting heavily of Marines) defend them. Americans are the only nation with the ability to entrench in enemy territory, so this tactic is likely to catch your opponent off-balance. As mentioned previously, you can just use decoys to soak up shots for your army, but I personally think you might as well just use Forced March or Ambush instead for direct confrontations. With a moderate-sized force, Create Decoys outside of enemy vision, then waltz into vision with both your decoys and actual army together. 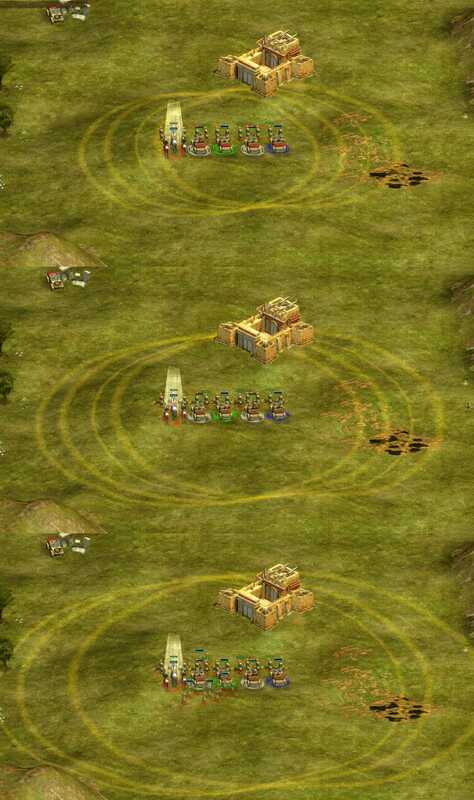 If unobservant, your opponent will panic and ruin his economic growth in order to spam troops for defense. You don’t necessarily have to attack anything significant – you could just hunt down some undefended civilians – perhaps a merchant or a mine that’s away from a city. While doing this, continue with your own economic growth. Over the next few minutes, you should be able to outpace your opponent. When they’ve built up a threateningly large force, just pull back and enjoy the economic rewards. Additional complexity: Repeat the first part of the above, but split your decoys off from your actual army. 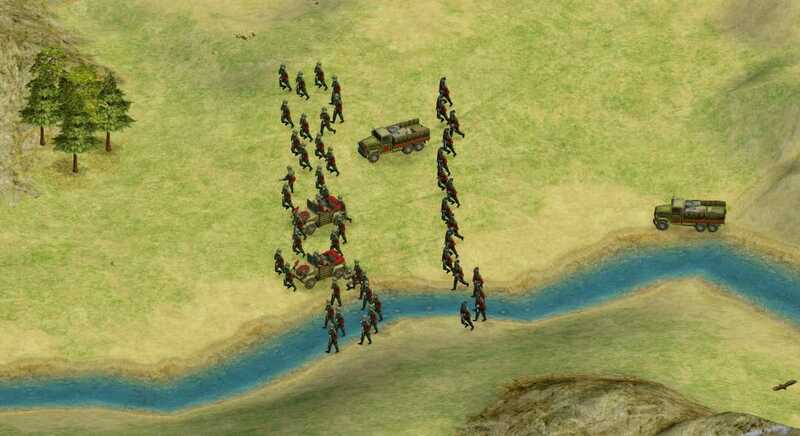 Add a Supply Wagon (decoys still take attrition) and a real siege unit or two, then attack a city – preferably one that’s further away from where you really want to attack in the future. Your real siege units will deal damage to the city, and most players will automatically assume that the army defending it is genuine as they scramble to defend the city. You can either simply waste their attention and resources with this tactic, or use it to launch your real attack elsewhere once his troops have left to defend against your “attack”. You can use Ambush in order to really frighten your opponent with this attack, flanking around to somewhere he completely doesn’t expect your attack to come from. Layered complexity: Have a few real troops in the above “attack”, preferably including front line troops such as a couple of light/heavy cavalry. These troops can move forward to attack civilians and any existing defenders, lending additional credibility to your decoy forces guarding the siege units. Having the real units at the front dealing damage also makes it much less likely that other player will manually click on your decoys to verify their authenticity – clearly the troops at the front are real, why wouldn’t the rest be! Top: Decoy attack on the enemy capital with (mostly) real siege units and a few real troops. Bottom: Real attack on enemy city at the same time. 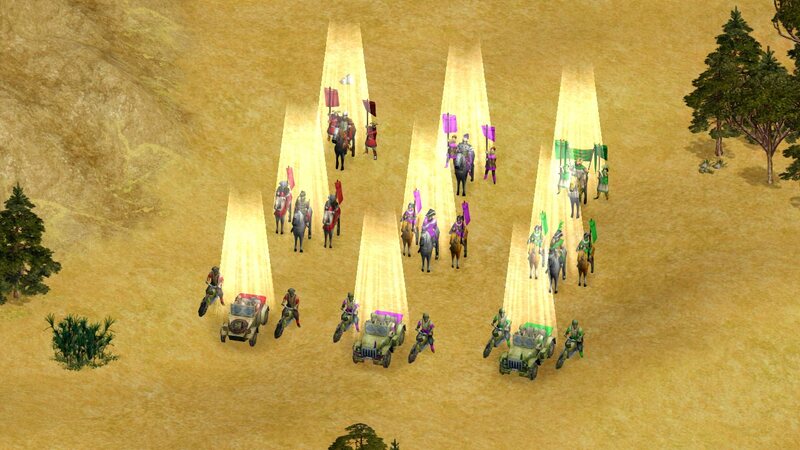 Bonus: If you have some troops sitting around and don’t expect a fight to happen anytime soon, you can Create Decoys and then use the units as scouts, optionally using the auto-explore command so that you don’t have to worry about controlling them. Their Line of Sight is very low, but so is the cost of using decoys to scout. Remember that decoys can last quite a while (especially with Strategy research at the Fort), so you can usually focus on making the decoy army seem authentic, rather than rushing them in bizarrely worrying about their timer. Enemy Detector units (such as Scouts and static anti-aircraft defenses) will reveal decoys, so avoid letting your decoys get near anything that might tip your hand. Quite simply, Ambush your troops while out of enemy vision, then move to attack under your shroud of invisibility. This tactic is fairly straightforward, and computer players often use it. If you have multiple Patriot / Generals available, you can use Forced March as well in order to move farther while stealthed. Units that attack will lose their stealth, but this works on a per-unit basis. That means that you’re able to siege a city without letting on how defended your siege units are, since the rest of the army can remain invisible. Remember that Detector units (such as Scouts and static anti-aircraft defenses) will see Ambushed units within their range. Additional complexity: Combine the second paragraph with Create Decoys. Going from “just 2 siege units” to “holy crap there’s a million of them” is usually very intimidating. Layered complexity: The Stealth Insta-Win. Just for fun: In late game, make a handful of Generals and use Ambush to stealth planes on an attack run. Nobody expects literal Stealth Bombers. It’s incredibly valuable to include a Patriot / General in your army. A Patriot is basically just a General with bonus effects, so everything a General can do, a Patriot can also do. 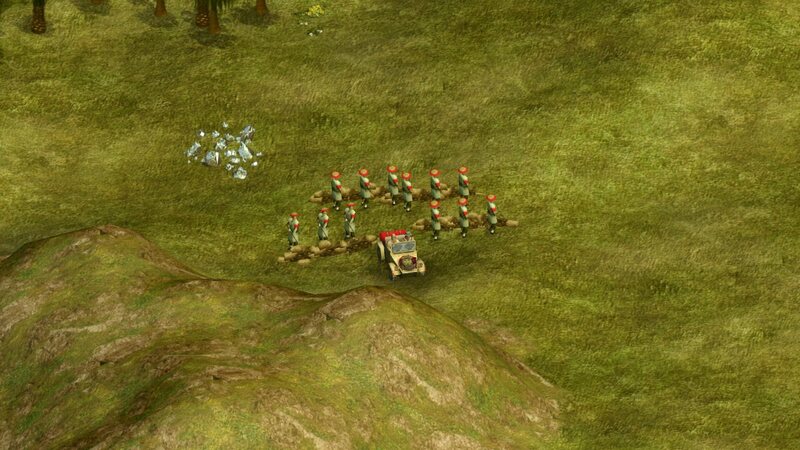 Generals (and therefore Patriots) buff the armor of your nearby units, acting as a force multiplier for your troops. They have 4 special abilities which you can use for tactical plays. Patriot effects and government effects are separate things, and you lose a previous Patriot’s effects when you change governments. The Despot is great for early aggression; The Senator is great at defending against early aggression. “Red” Patriots act as Supply Wagons, “green” Patriots heal your troops. Generally (haha!) speaking, armor doesn’t reduce damage below 1; even with an infinite amount of armor a unit will always take damage from even a weak attack. 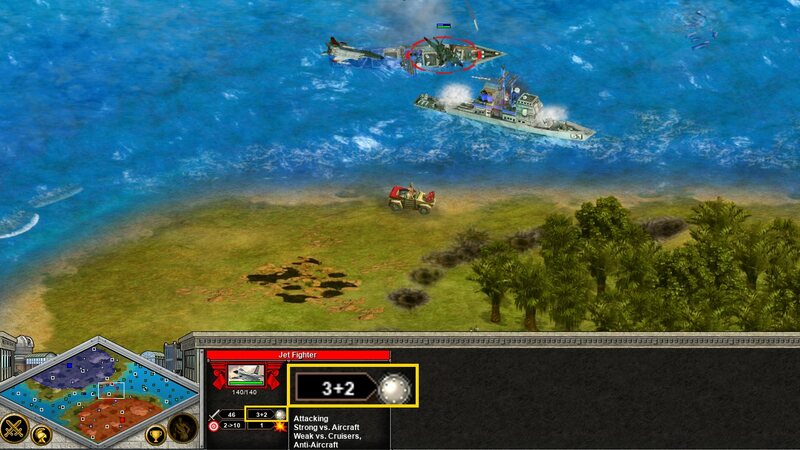 However, there are exceptions if the unit attacking is significantly outclassed by the unit it is trying to damage. For example, Slingers don’t always deal damage to a Main Battle Tank. With the exception of America’s unique light infantry, who can entrench themselves in enemy territory due to their passive auto-entrench ability. I believe if you entrench units in non-enemy territory and then that territory later becomes enemy-controlled that existing entrenchments will remain active. ..but good luck keeping anything but ground units inside the effect.